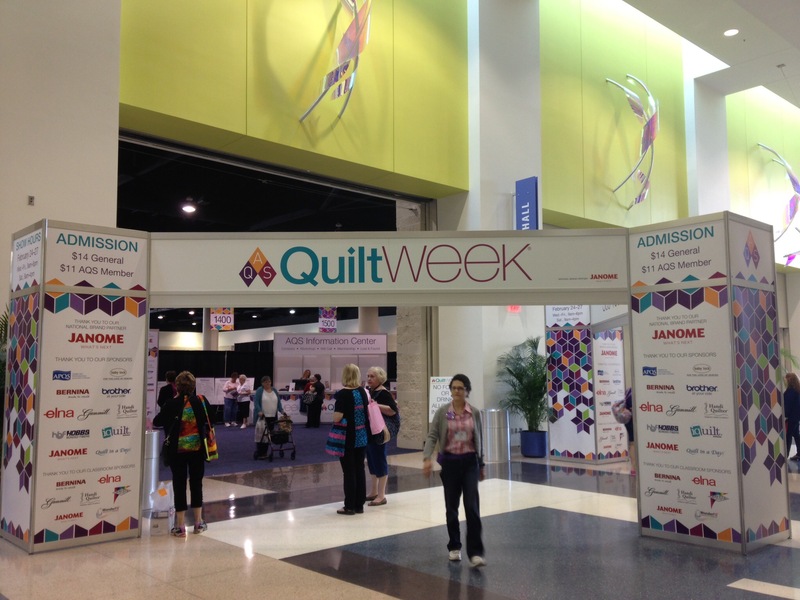 Last week was Quilt Week in Daytona Beach, Florida! so I was pretty excited! Oh, it was so much fun! I think I smiled the entire time I was there! just by looking closely at each quilt! Did you see the pretty hexies?!! They are tiny but add so much to the overall look of the quilt! were displayed with a beautiful work of art! I love this one with the campers! So much fun to make one like that, right?! There was a pattern for it, to save you all the time. This vendor booth had my favorite mini quilts!! It was Schoolhouse Quilt Shop, from Canton, Ohio. these herself, mostly by hand! mini quilts and doll quilts. Here’s a close-up of one of the squares. She took the trouble to fussy cut all the little squares! 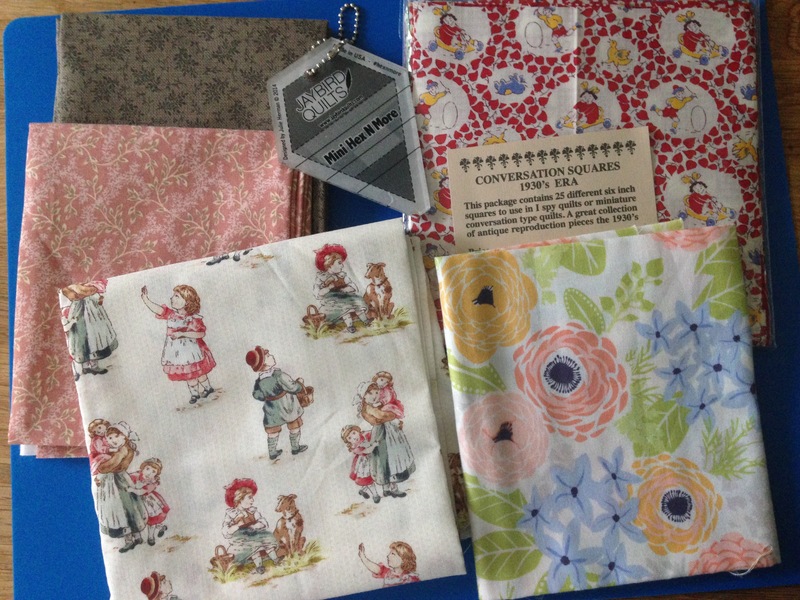 and I can’t wait to use it for quilts for my granddaughters! Oh, I wish you could see the details, and the fabrics here! All I had was my cell-phone, so I couldn’t capture it like I wanted to. the different 3-D materials used. Probably because of the scene it depicts, too. I could not believe all the detail! and the quilt would “twinkle” and sparkle. Here’s a close-up of just a small section with the crystals. The camera really doesn’t capture all the sparkle. including metallic, which gave the quilt a whole other dimension. I didn’t buy too much, as you can see. that I’m planning to use in a quilt very soon. by all the beautiful workmanship and colors and fabrics…!! popped into my head as I walked around the Show. especially one that’s as large as this one! I wish I could have been there with you! What a wonderful and varied display of inspiration! Wouldn’t that have been fun?!! I had to go alone, I found out about it only 2 days before the event, but I’m so glad I went ahead and went! It was fun and so inspirational to see all those quilts! Such gorgeous gorgeous quilts! The winter scene has to be my favourite, so much detail, like a painting in fabric!! Yes! Exactly! It must’ve taken so much time to put all those little touches on it, but it made it extra special. Wow! Thank you so much for sharing. Looking at your photographs and reading your descriptions was almost as good as being there. What a show! You were smart to go right home and record your ideas! My favorite is the one that got the award for best hand work–wow! Yes, the colors in the quilt were beautiful and the hand work was unbelievable. OMG I’ve never seen such beautiful craftsmanship on a quilt before what fun to see that. It felt like an art museum in the sense that you just had to stop and look closely at the “art piece” and many times I caught myself with my mouth handing open, I was so blown away. These are amazing! There is a Quilt Museum in Paducah, KY I’m sure you’d love. I haven’t been yet but hear it’s great. I live in southern Indiana so it’s a 4 hour drive. Trying to convince my husband that he’d really enjoy it too. 🙂 So many talented people…it takes my breath away. Thank you for always sharing something that inspires me and encourages me and makes me happy! Loved seeing the quilts! I loved every single quilt you posted – maybe the Best of Show a little less than the others. I always like the traditional work the best. I feel the same as you! I also loved every quilt in the pictures. There are some amazing ones. I think that my favorites are the winter scene one and the camper one. Oh my goodness, what a wonderful show. Wish I had known about it as Daytona is not that far away from where I live. 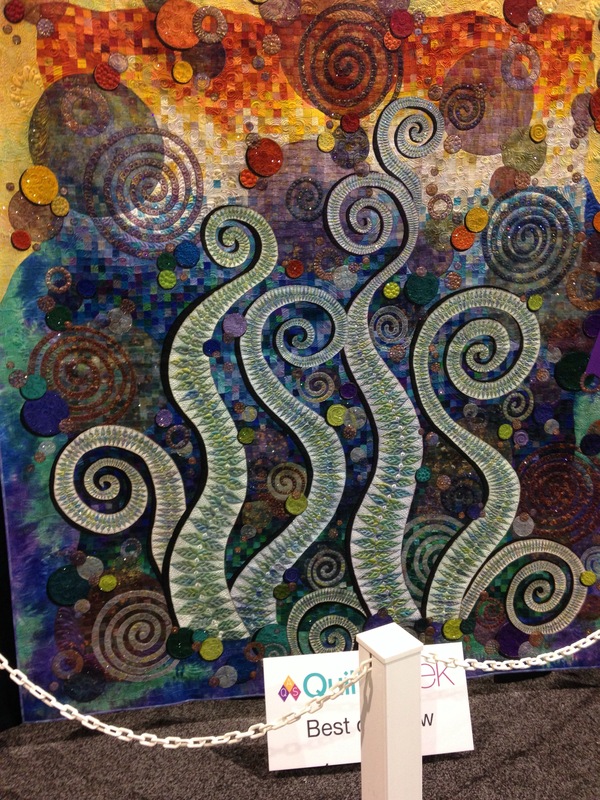 Your favorite quilt from the larger size quilts was my favorite as well. It reminds me of one of my Will Moses paintings from my years living in New England. Thanks so much for sharing your experience. Love the hexes on the flowers! What a great array of quilts. Makes me want to buy every fabric in the world! Haha, I found out about the show too late to ask anyone to go with me. I wish my daughter could’ve gone with me, we have so much fun together at these events. I only found out the day before so everyone had plans,,,it’s a wonder I was able to go! It did look inspirational (and way over my quilting head!! )– this people are artists! Glad you got to go! !